Inspiration:We designed this piece for the pursuit of romantic love. What we seek is not only the luxury, mysterious and elegant blue love, but also a constant reminder of yourself that love is the most precious and worthy treasure in your life. 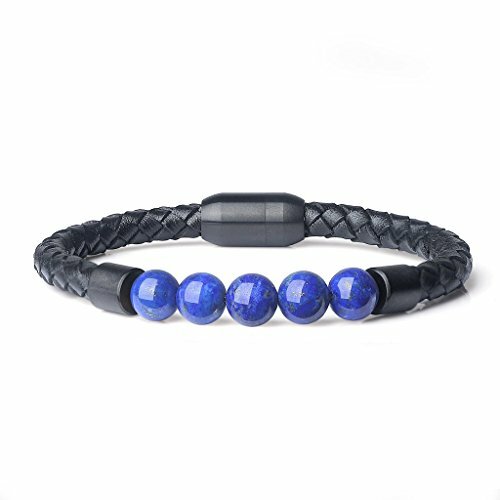 Material:environmental-friendly gold plated alloy with swarovski crystal elements,lead free, comfortable to wear. high polished and features a brilliant cut at the crystal, charming and eye-catching.extendable chain to fit your neck. Philosophy of Back: Engraved”I♡U to the Moon and Back”. Even a simple action would speak louder than tons of sweet words. Presenting this fashion jewelry to be your love confession. Ideal Gift: Comes in a gift box. A surprise for wife, girl,girlfriend, best friend, daughter , mom,grandma or yourself on Christmas, Birthday, Anniversary,Celebration, Single Day, Valentine’s Day, Wedding, Engagement,Congratulation, Party. 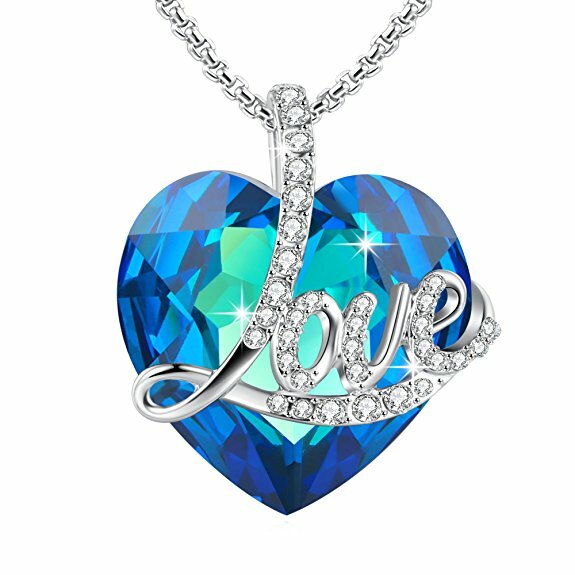 *Expressing your love and best wishes to her by choosing this birthday Gift pendant necklace. *Comes in a pretty gift box. *Keep it dry and away from chemicals, sweat, bath , and Avoid friction and hard objects to avoid scratches. 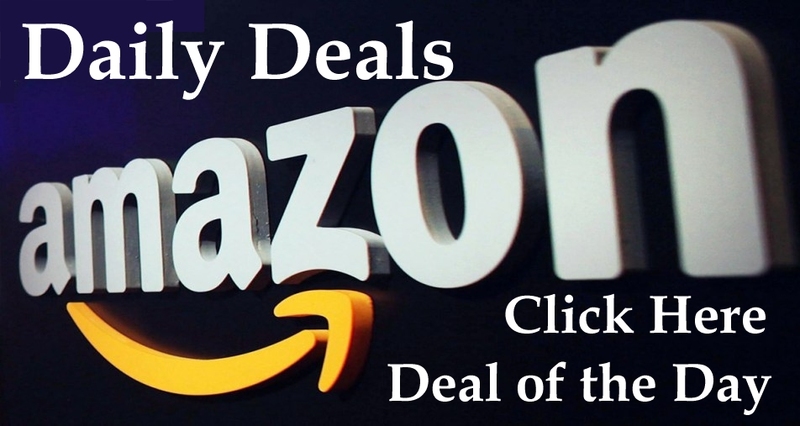 *Store it separately in a gift box or sealed bag. Some unexpected issues may happen during transportation. if there is any problem with the products, Just contact us and we will assist you in finding a solution promptly. *This product is sold exclusively by Angelady. Only buy from Angelady to get genuine products with high quality and superb customer service.Angelady trademark is protected by US Trademark Law . 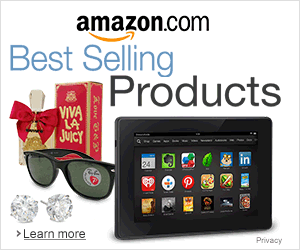 *Angelady’s team draws on rich experience and great passion on providing fashionable Clothing and Jewelry for women. Shipped in an organza gift bag for easy storage and gift presentation. All kits have been smudged and cleansed before shipping so it will arrive to you positively charged. Our kit comes with two 3″ sticks of White Californian Sage for smudging. Hand wrapped in 100% cotton thread. This sage has an earthy, herbaceous scent. Our 2-3″ Palo Santo Wood stick is used to cleanse negativity similar to sage. It is considered “Holy Wood”. Sustainably harvested from Peru with a natural sweet smell, similar to cinnamon or spices. Used for holding the sage or Palo Santo stick. Amethyst crystals are perfect for providing spiritual protection & clarity of mind. Rose Quartz is a loving stone it will infuse you and your environment with a loving energy. Use it in your smudging or meditation ceremonies. Our crystals are about 1 inch and have been cleansed with sage smoke & charged under a full moon for you. Pink Himalayan sea salt is a purification tool and used for cleansing negativity & restoring balance. Includes smudging instructions for cleansing of negativity, clearing a space after illness or argument, blessing a new home, shielding your home. 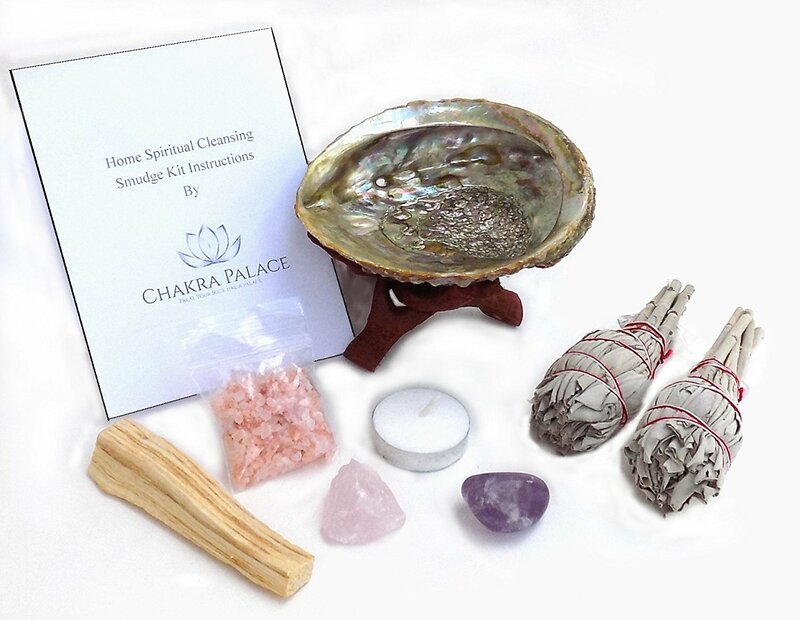 This kit also includes special blessings The manual also includes item descriptions and their mystical properties. Natural products vary in size, shape and color. 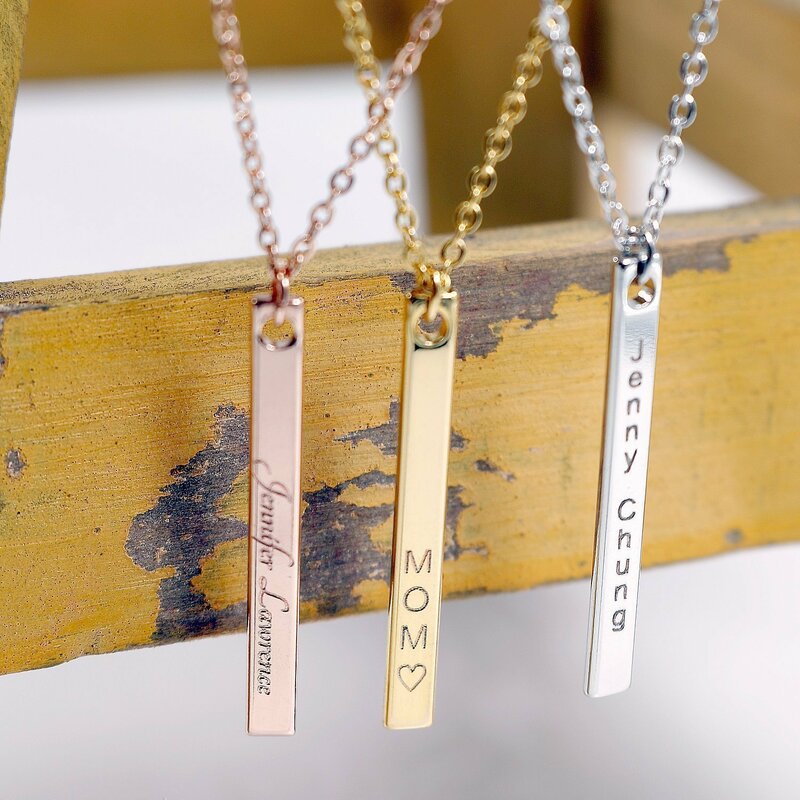 SAME DAY SHIPPING TIL 2PM A to Z 0 to 9 Initial Delicate Gold, SIlver, Rose Gold Plated Nameplate Necklace, Tiny Personalized bar Necklcae, Bridesmaid Gift, Roman Numeral Name Bar, Hand Stamped Necklace, Everyday Jewelry, Bridesmaid Gift. approx. 17.5 inches ★ALLERGY- we don’t recommend it if you have sensitive skin or had allergic reaction to plated jewelry. ★TARNISH will eventually happen but you can slow it down by caring well. ★CARE INSTRUCTION FOR PLATED JEWELRY Plating will wear off/Tarnish fairly quickly over time. Here’s are some tips to keep them little longer. 1.To avoid scratches, keep it separate from other jewelry. Wrap your jewelry in a soft cloth after use or cleaning. 2.Do not spray perfume, hair spray or any type of products contain chemicals. It may interact with metal. 3.Clean it with a soft cloth or cotton ball to remove any daily dust or dirt every time after use. Just rubbing the surface gently to restore shine. ★RETURN POLICY We accept unworn/personalized returns and/or exchanges within 7 days of when your package was delivered, with the following exceptions: – Returns are NOT accepted on personalized pieces, unless we made an error. – For custom orders, returns are handled on an item-by-item basis. Please contact us for a return: – Do NOT just send it back. – Please pack the item carefully. – Returns will process in approximately 2-3 weeks. 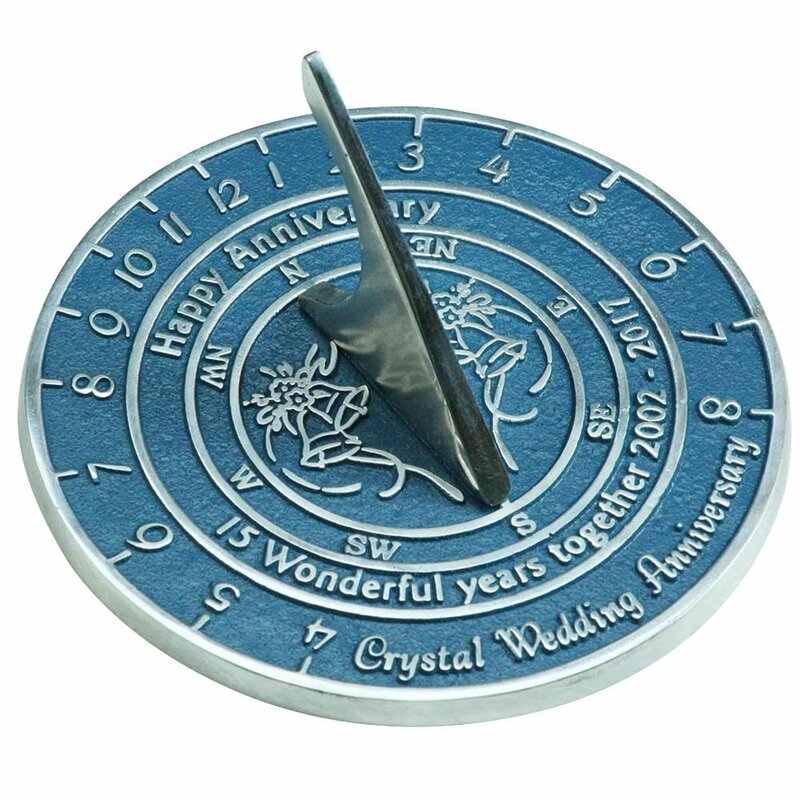 Handmade Crystal Wedding & Anniversary Sundial Gift By The Metal Foundry Ltd.
A WEDDING GIFT THAT STANDS IN TIME: If you are looking for the ultimate anniversary gift for your beloved one, then we got you covered. We proudly present you, our modern collection of sundials! 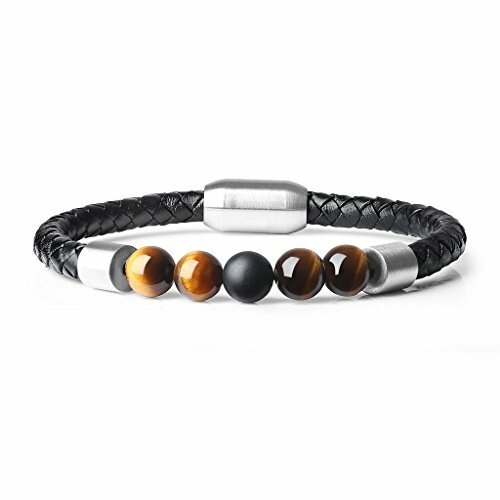 Choose the right one and pleasantly surprise your partner! PREMIUM CRAFTSMANSHIP: All of our sundials are handmade by skilful English craftsmen. Meticulously designed from high quality cast aluminium so as to last forever! Fully lacquered for extra protection! It can be mounted almost anywhere. THE PERFECT GIFT FOR ALL: Forget all about tacky and same old anniversary gifts and invest in one of our sundials. Ideal for crystal wedding anniversaries, for him and her, your favourite couple, your parents or grandparents, dear friends and beloved ones! FOR BOTH INDOOR & OUTDOOR USE: Create unforgettable memories with our unique sundials! Each one comes with a stand to facilitate the sundial to stand on its own. Perfect for decorative purposes, outdoors, home and even office! 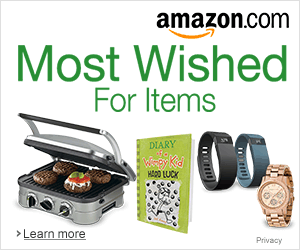 An eye-catching gift for you! Each sundial is handmade from thick Aluminium and is fully lacquered. There is no need for you to re-polish it ever again. • Premium quality rock solid cast Aluminium sundials. Now stocking 2017 version – If you still require a 2016 version then add the item to your cart as a gift, and add a gift message that says: “2016”. Labradorite Karuna Reiki 11 Stone Set Oval Crystal Gemstone Engraved Healing Chakra Balancing Pouch Spiritual Pagan Wicca Energy Vibes Aura Quality Divine Gift Good Luck Mental Peace Meditation. Best Quality Karuna Reiki Stone Sets: Approx. 3.5 cm * 3.5 cm. The Set includes 11 symbol stones along with Black Velvet Pouch. These sets will do wonders to anyone’s life awakening their spiritual senses and giving a sense of contentment and satisfaction in life. Labradorite is known as the gemstone of destiny because it opens up your psychic abilities by connecting you to the Universal flow of energies that permeates our world and universe. Allow it and a labradorite gemstone will teach you how valuable you are as a spiritual being. It will release your insecurities about yourself, your powers and your abilities and give you a sense of inner worth and strength of will. Each of the Karuna Reiki symbols has a different use or purpose and, therefore, a different subtle energy vibration. Therefore, each symbol carries their own unique vibrational pattern of healing. By placing the Karuna symbols onto a piece of Quartz, these healing vibrations are then amplified and stored within the stone. We have found that once cleansed and activated with Karuna Reiki, the stones stay charged with the energy of the individual symbol for many days. They can be used on yourself, placed in your home or work environment, or alternatively can be placed onto the person you are giving healing to, or given to them to hold during a healing session (this is where the individual stone pouch comes in useful as it ‘masks’ the sacred symbol from someone not attuned to Karuna Reiki). Using the crystals in the ways above, both amplifies the Karuna energy and prolongs the healing process; owing almost certainly to the properties of Quartz, which is in itself a superb healing conduit. We recommend that they be cleansed regularly, asking that any negative or low vibrations be safely removed, but that the accumulated Karuna Reiki energy stay with the stone. Use of the Karuna Reiki Stones Each of the Karuna Reiki symbols has a different use or purpose and, therefore, a different subtle energy vibration. Therefore, each symbol carries their own unique vibrational pattern of healing. By placing the Karuna symbols onto a piece of Quartz, these healing vibrations are then amplified and stored within the stone. We have found that once cleansed and activated with Karuna Reiki, the stones stay charged with the energy of the individual symbol for many days. These crystals are also an excellent aid to use in meditation. The Karuna Reiki symbols have very powerful properties and the ability to transform not only specific diseases or mental attitudes, but also to transform our whole subtle light body so that it can maintain a far higher degree of pure white Universal healing light; the very essence of Reiki itself. So when looking for the deeper meaning of the sacred symbols or for a deeper connection to their energy, meditating with one of these stones can prove to be quite literally, enlightening. They can be used on yourself, placed in your home or work environment, or alternatively can be placed onto the person you are giving healing to, or given to them to hold during a healing session (this is where the individual stone pouch comes in useful as it ‘masks’ the sacred symbol from someone not attuned to Karuna Reiki). Using the crystals in the ways above, both amplifies the Karuna energy and prolongs the healing process; owing almost certainly to the properties of Quartz, which is in itself a superb healing conduit. We recommend that they be cleansed regularly, asking that any negative or low vibrations be safely removed, but that the accumulated Karuna Reiki energy stay with the stone. These crystals are also an excellent aid to use in meditation. The Karuna Reiki symbols have very powerful properties and the ability to transform not only specific diseases or mental attitudes, but also to transform our whole subtle light body so that it can maintain a far higher degree of pure white Universal healing light; the very essence of Reiki itself. 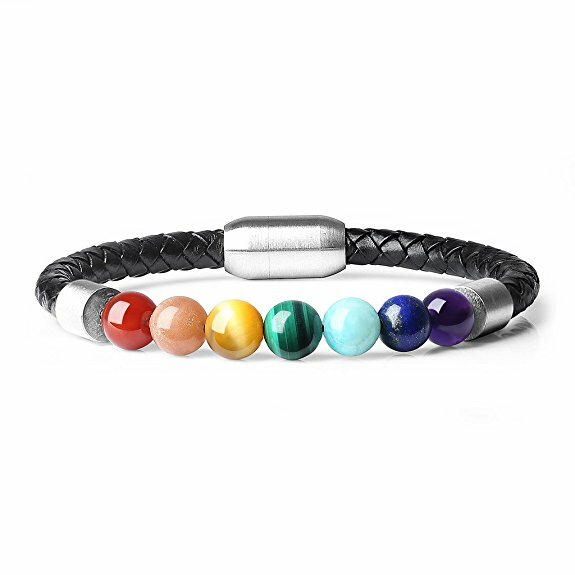 So when looking for the deeper meaning of the sacred symbols or for a deeper connection to their energy, meditating with one of these stones can prove to be quite literally, enlightening. Quartz Crystals and Reiki Healing Crystals have long been associated with Reiki and of them all, Quartz is the most versatile. Quartz has six basic properties or purposes in healing. It can Structure, Store, Amplify, Focus, Transmit and Transform energy on every level. This is why it is the perfect medium for Reiki healing work. Quartz is also the only truly ‘programmable’ stone known to man, which is another reason it can store, amplify and transmit the Reiki vibration so purely and effectively. Approx. 3.5 cm * 3.5 cm. With Velvet Pouch What is Karuna Reiki Anyone wishing to become attuned to Karuna Reiki® must already have attained their Master level in Usui Reiki. The Karuna symbols were originally developed by William Lee Rand in conjunction with some of his most spiritually advanced colleagues and students. They are not meant as a replacement for the traditional Usui symbols, but many people have commented after receiving their Karuna training, that it is perhaps even more powerful than Usui Reiki; the energy having a more definite feel to it. 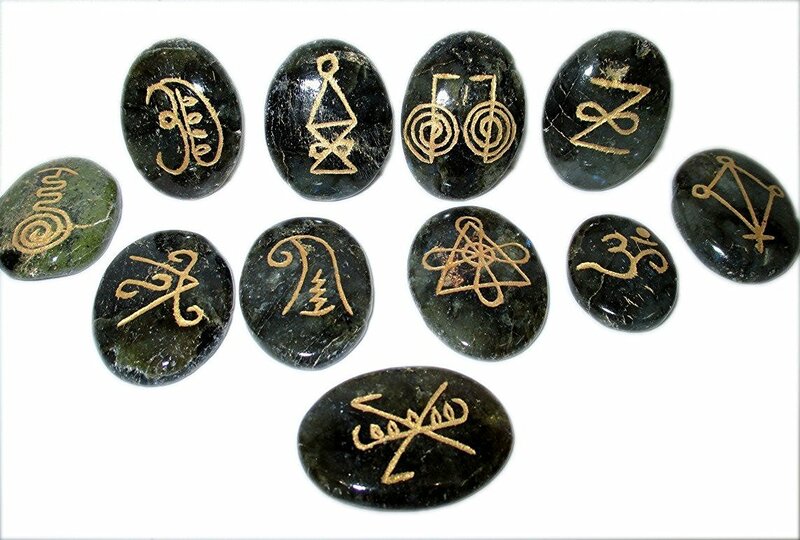 History of Karuna Reiki Stones These are an addition to our existing range of Reiki healing crystals. Having found our Reiki Stones range to be so popular, we we decided to source some with the wonderful Karuna Reiki symbols and here they are! We hope that you may benefit from not only their beautiful energy, but also from their ability to carry the Karuna Reiki healing vibration so purely and effectively. We are currently only stocking the Karuna type in Rose Quartz as we felt that it best encompasses the meaning and energy of Karuna; that of ‘compassionate action’. About the crystals The crystals are freeform palm stones; each chosen individually for their clarity and energy and they are as evenly matched in size as possible. They are engraved with the sacred Karuna Symbols, then are accented with gold. Gold carries the Master Healing Energy which both resonates with, and transmits the Golden Ray; the highest light vibration the physical body can receive. 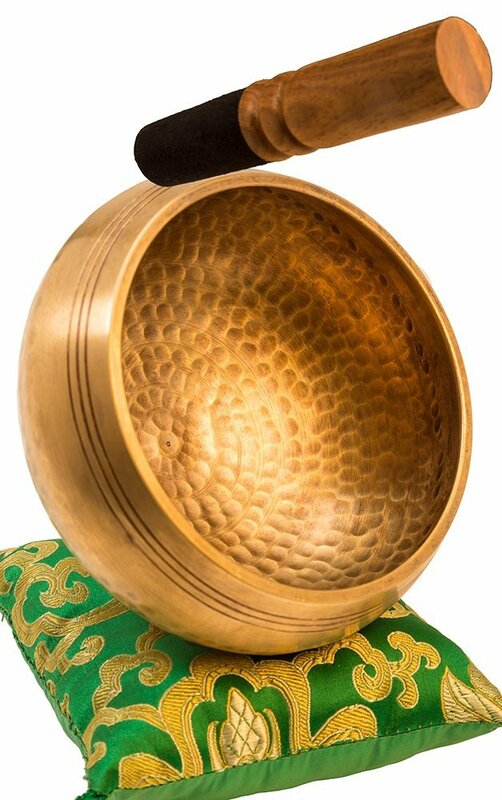 The Golden Ray can be used to invoke healing on all levels – physical and subtle – for any disorder or dis-ease; making it the perfect companion to Karuna healing energy. When the Stones arrive with us we cleanse and bless them once again to clear them of any energy they may have picked up on their journey to us.